A fellow Liberal MP went to Miami on a similar trip. Pablo Rodriguez, Parliamentary Secretary to the Minister of Infrastructure, stands in the House of Commons during question period in Ottawa on Dec. 9, 2016. OTTAWA — A Liberal MP is heading to Los Angeles this week for a pre-emptive strike against misinformation about Canada's immigration system circulating in the Spanish-language press that officials worry could inspire a new wave of asylum seekers. Central Americans have long been thought of as the next population primed to make the journey across the Canada-U.S. border due to major changes on the horizon in U.S. immigration policy. That includes the potential end of temporary protected status for nearly 350,000 Salvadorans and Hondurans, meaning all could face deportation to their home countries. Spanish-speaking MP Pablo Rodriguez had already been tapped as the likely federal point-person for outreach to Hispanics in the U.S., but his trip to L.A. on Friday has been given new impetus. On Aug. 30, the Spanish-language publication La Prensa reported that the Canadian government was set to welcome Hondurans living in the U.S. with temporary protected status, quoting a community organizer who said he had been contacted by the Canadian Embassy to explore programs. The piece mirrored those that had been circulating in Creole-language traditional and social media earlier this summer, cited by some of the Haitians who have arrived in Canada in recent weeks as the reason they decided to come north from the U.S. Since July, some 7,000 asylum seekers have crossed into Canada from Quebec, the majority Haitian. ​​​​​​​But the Liberals are mindful that a decline now doesn't mean the problem is over. Rodriguez is being dispatched to "neutralize" any misunderstandings about Canada's system before they gain too much ground, a senior government official said. 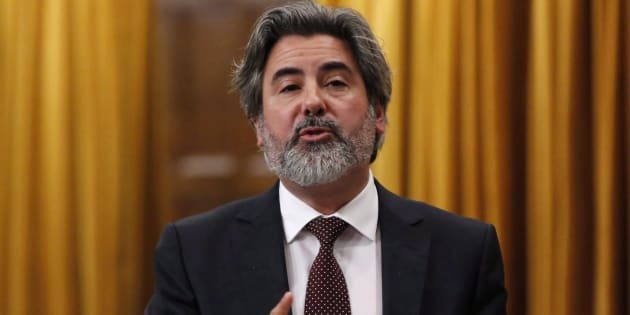 The Montreal MP, born in Argentina, will make the rounds of Hispanic media in L.A. as well as meet with members of the Honduran and El Salvadoran communities and local officials. "I'll be able to communicate with them and tell them exactly how things are in Canada," Rodriguez said Wednesday. "We have a system in place, a system that works and that has to be respected." The La Prensa piece was spotted as a result of a much broader monitoring effort launched by the Liberal government at the height of the surge in Haitian arrivals in late July and early August. Consulates are on alert to keep close tabs on local media for discussion of Canada's immigration and asylum policies, so when officials in Honduras spotted the La Prensa article they flagged it immediately to their bosses in Ottawa. The reporter at the paper was contacted, and the next day another article appeared clarifying that Canada has no program in the works for Hondurans, and if someone has temporary protected status in the U.S. it is not granted automatically in Canada. The unnamed government spokesperson in the article also noted that if people seek asylum in Canada, they could risk their protected status in the U.S. Refugee claims by Salvadorans and Hondurans do appear to be increasing in Canada. In the first three months of 2017, 255 claims for asylum were lodged, compared to 380 in all of 2016. Canada currently deports failed asylum claimants from El Salvador and Honduras back to their home countries.